After experiencing an extreme drought in our area last year I definitely will not complain about the amount of rain we've gotten this summer. We're back to the southern norm with afternoon showers popping up almost every day. Me, being the weather geek that I am, keep my eye tuned to the weather every day to make sure I don't get caught out in a storm in my Birkenstocks and I usually keep my wellies in the trunk of my car, just in case. 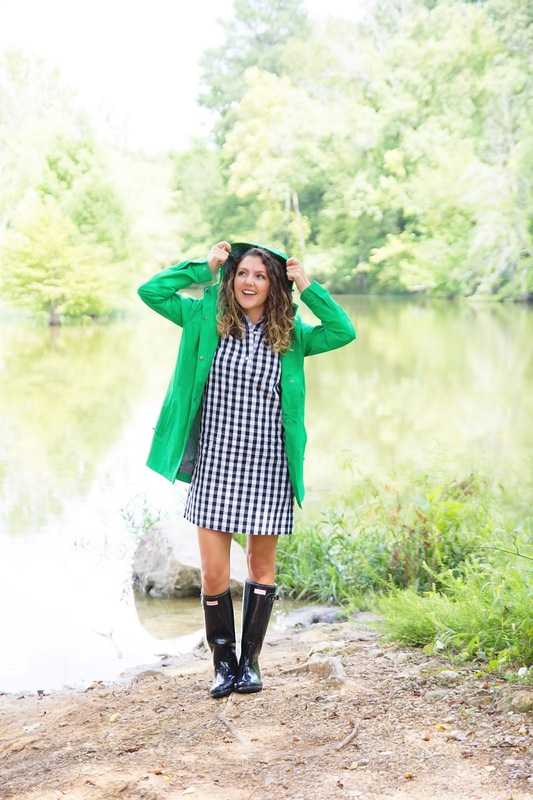 I've been wanting a "thicker" rain jacket for a while now and I couldn't pass up adding this one to my closet. They had so many great ones to choose from but when they mentioned that this one is listed on Oprah's O-List, I knew I had to have it. 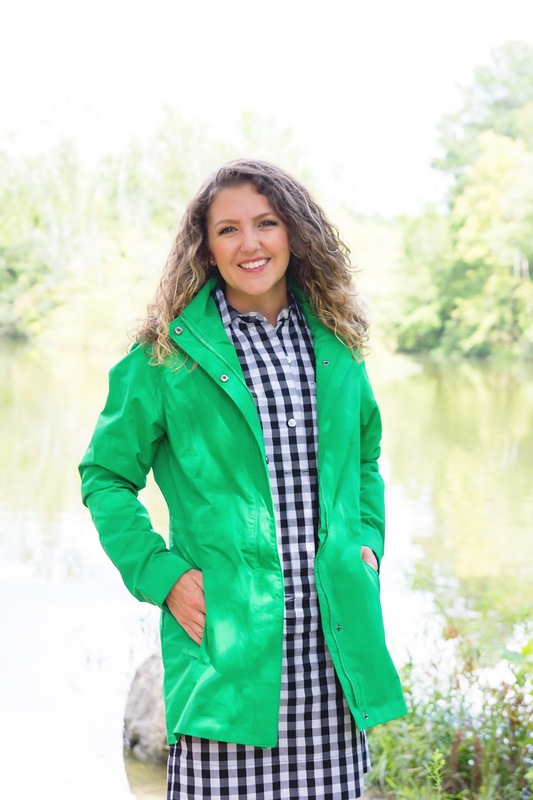 They offer it in 3 different colors, black, navy, and this beautiful kelly green, any of which are perfect for any season. It has multiple pockets, which, of course I love, and has a zip-off hoodie, which this curly girl appreciates. 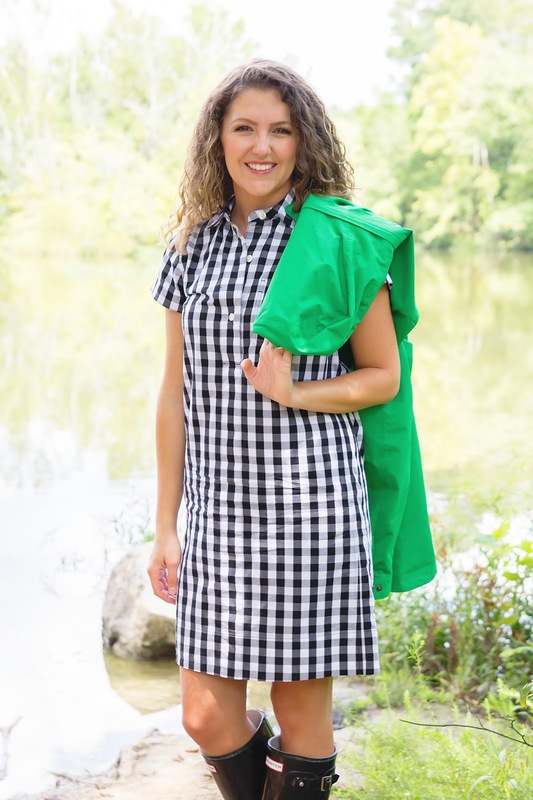 The fabric is perfect, the length is perfect, and it can be monogrammed! Perfection! If you would like to purchase one you can visit them on their webpage or if you're a MarleyLilly girl, you can get one here. 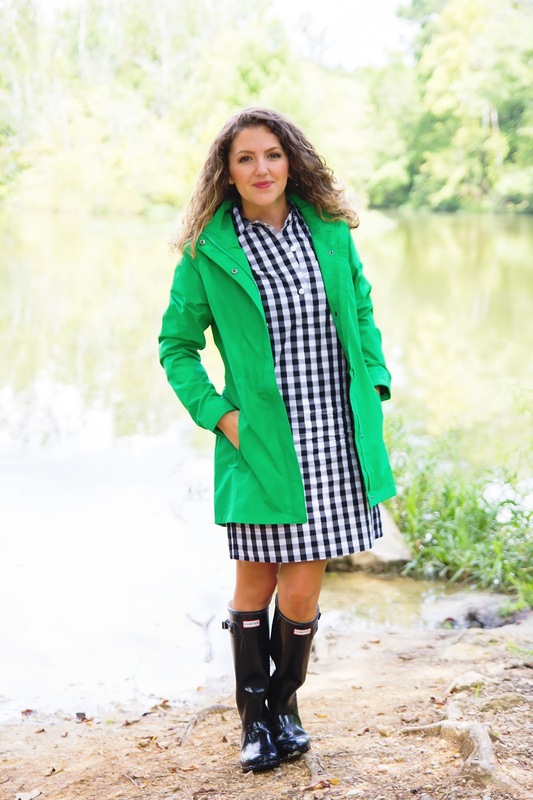 A huge thanks to Charles River Apparel for sponsoring this post!